Gabriel Frey separates each layer of ash as if he is peeling an onion. He removes one thin layer after another until he reduces what had been a formidable stick of wood into a small bundle of flexible ribbons. He then narrows each with a hand-held, handmade splitting tool, and weaves the strips seamlessly into one of his ash baskets. 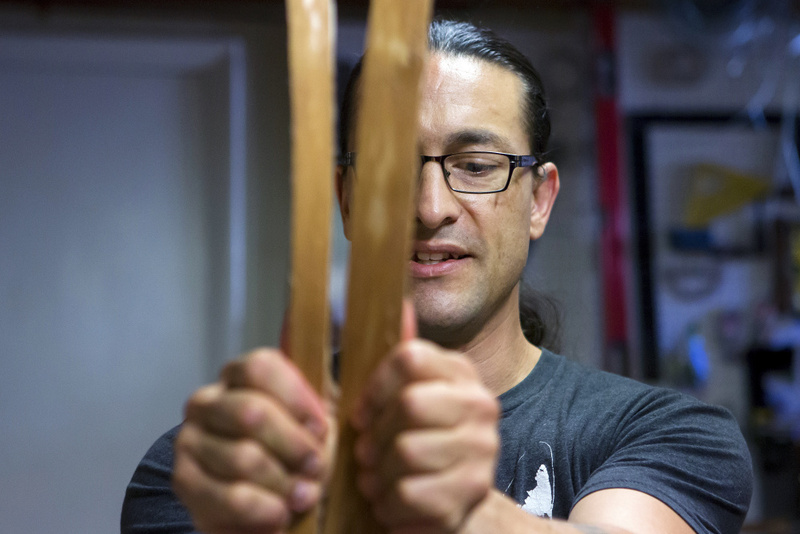 Frey, a Passamaquoddy who works in the basement studio of his Orono home, is busy preparing baskets for seasonal markets in Maine and elsewhere, including several for the Smithsonian Institution, which commissioned him to make baskets for its New York gift shop. He is among a large group of American Indian artists from Maine whose reputations are growing nationally, enhanced by their successes at juried American Indian art markets across the country. For six years, Wabanaki artists from Maine have won top honors at the Santa Fe Indian Market in New Mexico, the largest indigenous art fair in the world. Frey was among three Wabanaki artists to win ribbons at the most recent market in August, snagging a first-place award and an honorable mention. Next spring, Frey will show his work closer to home, as the Abbe Museum in Bar Harbor hosts a three-day juried American Indian art market May 18-20 in downtown Bar Harbor, creating more exposure for Indian art and artists from Maine and the Northeast. Maine is home to many small American Indian festivals and fairs – the Maine Indian Basketmakers Holiday Market held last weekend at the Hudson Museum at the University of Maine is a good example – but a large-scale juried art show that encompasses a range of arts and attracts artists and audiences from across North America is unusual if not unprecedented in the Northeast, said Abbe Museum President and Chief Executive Officer Cinnamon Catlin-Legutko. Nearly all the major American Indian art fairs are in the Southwest or Northern Plains. Read the full article in the Portland Press Herald. A preview of the Vermont Abenaki Artists Association, performing traditional and contemporary Abenaki music, storytelling, and drumming in FlynnSpace on November 14 at 7:30 pm. By KieraHufford, contributor to @flynncenter Tumblr. The Abenaki people, like many Native Americans, have been living in America since before European settlers arrived. However, the tribes only received state recognition five years ago, in 2012. The Flynn welcomes the Vermont Abenaki Artists Association (VAAA), giving them a space to share parts of their culture with the public—a performance that would have felt entirely different had it taken place in 2010. It made it difficult for Abenaki people to share their heritage. They couldn’t label their creations as being made by members of the Abenaki tribes, even though that’s who they are. And even now, they have to carry a native card proving that they’re members of the tribes; however, who they are, their culture, and where they come from is in their blood. It’s their identity, and a card shouldn’t be needed to prove that. 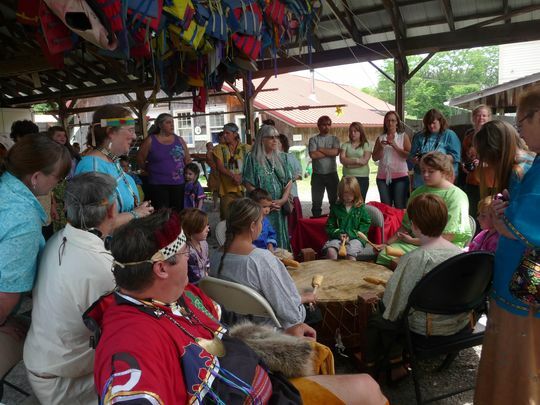 One of the biggest problems, according to the Abenaki, is that the Vermont Agency of Education doesn’t have a mandated curriculum surround the Abenaki people and their culture, so many students go through school and never really learn about their history or existence. The Abenaki are hoping to change that in the coming years. According to their website, the VAAA “embodies the history, culture, and art of the Abenaki people. While most of our artists and performers preserve and pass on the traditional art of our ancestors, others create contemporary artistic expressions that are informed by tradition.” Their mission is to promote Vermont’s Indigenous arts/artists while providing a place to share ideas and develop professionally as entrepreneurs. 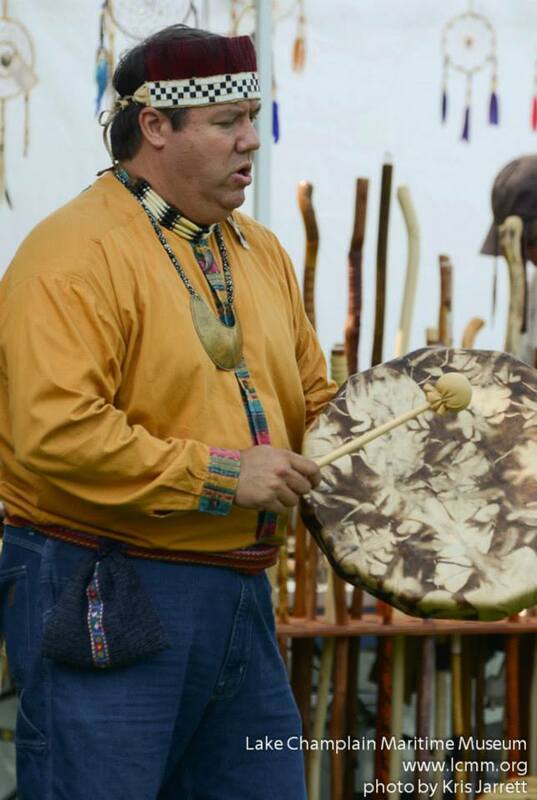 The VAAA wants the Vermont public to be able to find and engage artists like Chief Don Stevens, of the Nulhegan band of the Coosuk Abenaki; Nulhegan Abenaki Drum, who combine traditional Northeastern music with the sound of the big powwow drumming; and Bryan Blanchette, who began singing at powwows 20 years ago and is currently writing/performing new Abenaki language songs, who will be performing at the Flynn. The Abenaki have a place of belonging in Vermont, a place that should be recognized and unquestioned by the state’s residents. Not every Native American appears the same, but that doesn’t mean they have to prove their culture. The best way to combat this thinking is by learning, by understanding the Abenaki culture and how it, too, has adapted as the years have gone by. 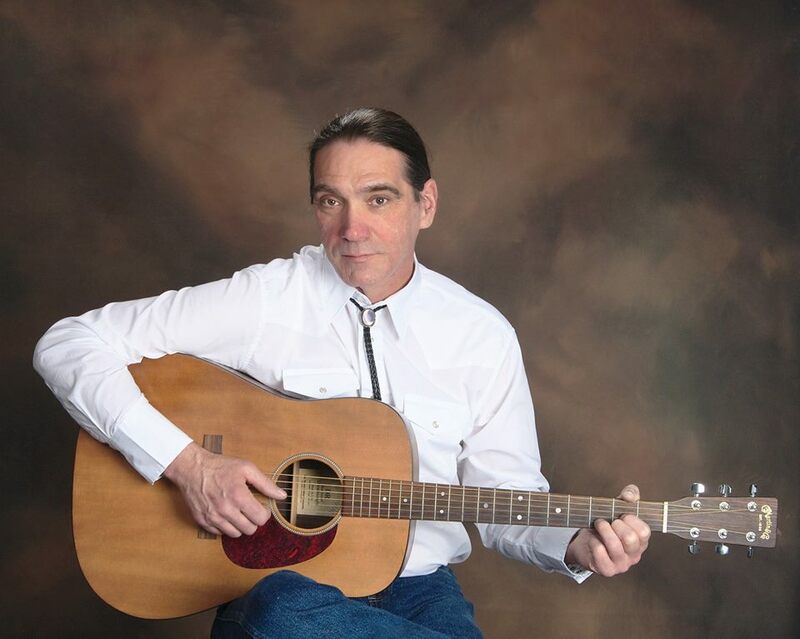 At the Flynn for the first time, the Vermont Abenaki Artists Association shares a performance of both traditional and contemporary Abenaki music, storytelling, and drumming. Performers include Chief Don Stevens, Chief of the Nulhegan band of the Coosuk Abenaki, Nulhegan Abenaki Drum, who combine traditional Northeastern music with the sound of the big powwow drumming, and Bryan Blanchette, a Berklee alumnus who started singing at powwows over 20 years ago and who is currently writing and performing new Abenaki language songs. Tomorrow, November 14th, from 7:30-10 pm, at the Flynn Center for the Performing Arts, 153 main St., Burlington, VT 05401. Tickets went on sale to Flynn members on Tuesday, July 18 and to the general public on Wednesday, August 2. Flynn membership starts at $50 and is available at any time. To become a member visit http://www.flynncenter.org/support-us/membership.html. 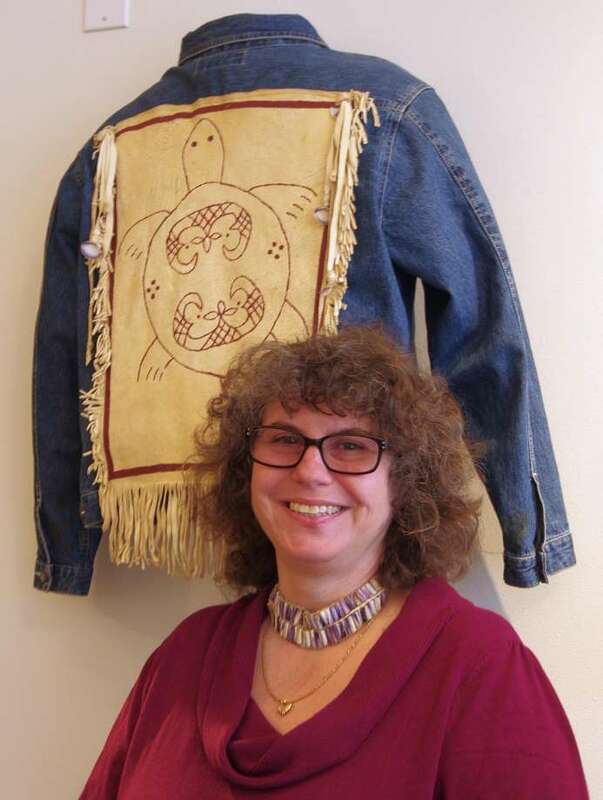 Contemporary Abenaki artists and tribal members talk about the meaning of garments, accessories, and regalia in their own lives and in the expression of community and tribal identity. Some of the topics will include: The Indian Arts and Crafts Law of 1990; art informed by tradition and what it means to be a Native American artist in the 21st century; honoring the past through art, and how artists walk the Red Road recognizing our ancestors. The panel will include [Elnu Abenaki] S8gm8 (Chief) Roger Longtoe Sheehan and Willow Greene, moderated by Vera Longtoe Sheehan. 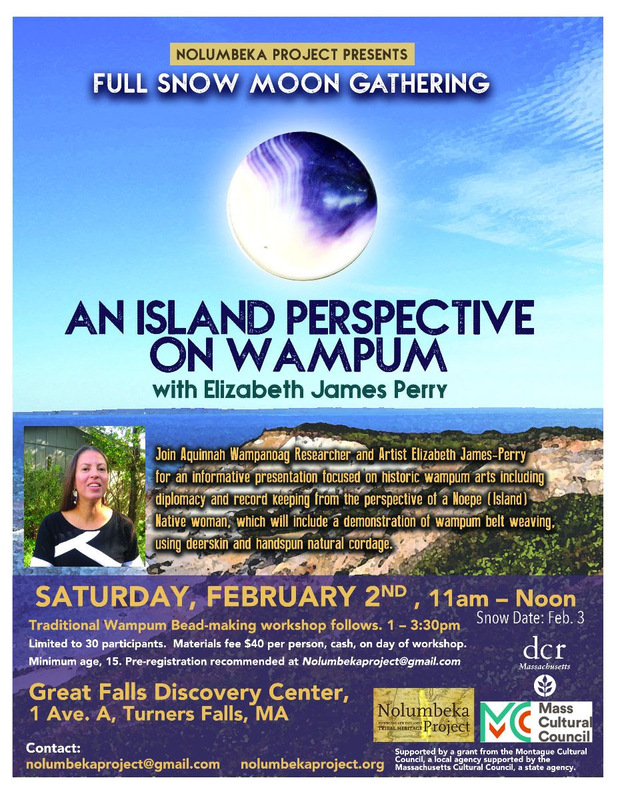 This program was created by the Vermont Abenaki Artists Association in partnership with Lake Champlain Maritime Museum and Flynn Center for the Arts, supported in part by a grant from the Vermont Humanities Council. Find out more about the event and panel at http://brookslibraryvt.org or (802) 254-5290.